This manual details the infant dressing experience and developmental expectations for dressing. 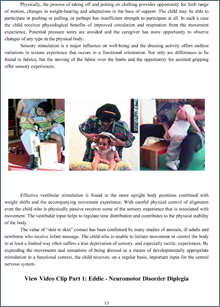 Assisted dressing for the child with neuromotor challenges is presented along with strategies for gaining more independence. 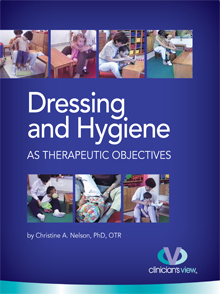 A complete dressing skills evaluation with suggested behavioral treatment objectives is included.